For the handful of people on the planet who still use pencils, this scenario should sound fairly familiar: you’re writing with a brand new lead, and as you go the line gets progressively thicker and blurrier. You turn the mechanical pencil a little to get to the sharp part of the lead, and it catches on the paper, causing a tiny rip. How annoying! 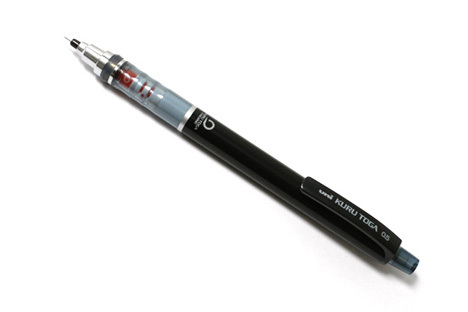 The Mitsubishi Pencil Company wants to ease your headaches with their Kuru Toga pencil. 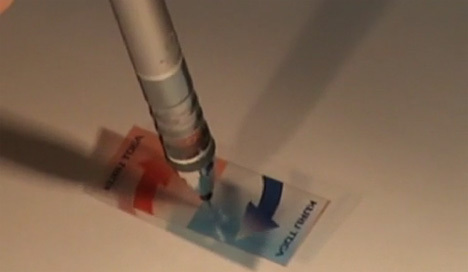 It’s a mechanical pencil with a tiny motor in it that rotates the lead a little bit every time you lift it from the paper. With the pencil always keeping your lead fresh, you’ll never again have to deal with the pain of blurred lines or the irritation of too-sharp leads ripping your paper. To watch the promotional video you would think that this is a debilitating plague affecting lives all around the world. As far as we know, it’s only a minor irritation that occurs once in a while – but to some people, the self-rotating pencil could probably save some time and frustration.